For the last few years I have watched this rider get faster and faster. 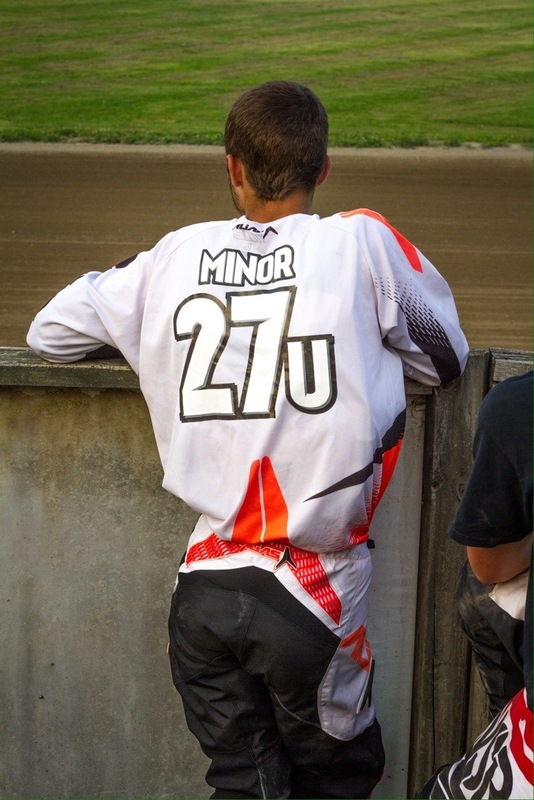 Last weekend at the Lee Thomas Cup Jamison Minor put on a great charge from the second row to finish second. Enjoy this interview with a fast young man. How did you get started in racing, and how old were you when you started? 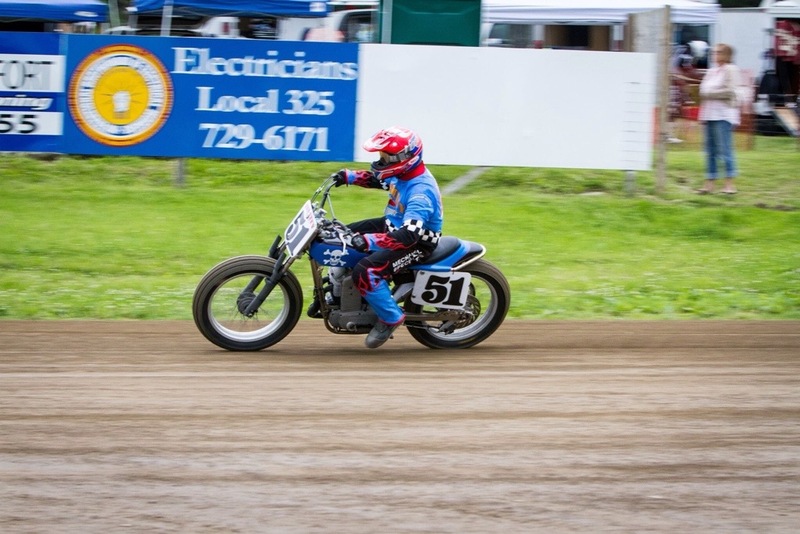 My dad bought me a jr 50 when I was 2, I rode it with training wheels and when I was 6 I wanted to race motocross so that’s when I first started racing. Suzuki JR 50. No we don’t own it, I wish I could find it I think that would be really cool but we had to sell it so I could get a KTM 50. What is your favorite track, and what type of surface do you enjoy racing on the most? Square deal is my favorite track. And I like cushion tracks the best. Why do you think this type of track serves your style best? I like the tracks that are fast and have a lot of different lines to pass and square deal is one of the best tracks for that. 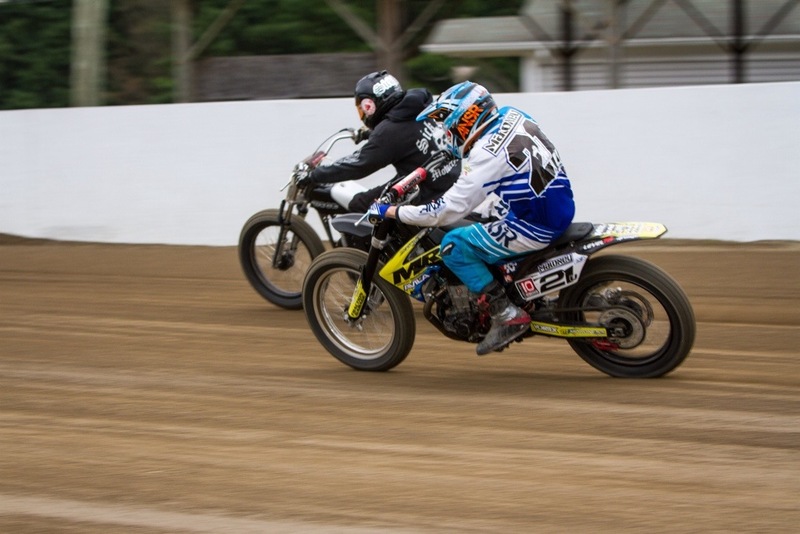 Is flat track racing the only form of motorcycle racing you participate in? If so what other type would you consider racing? 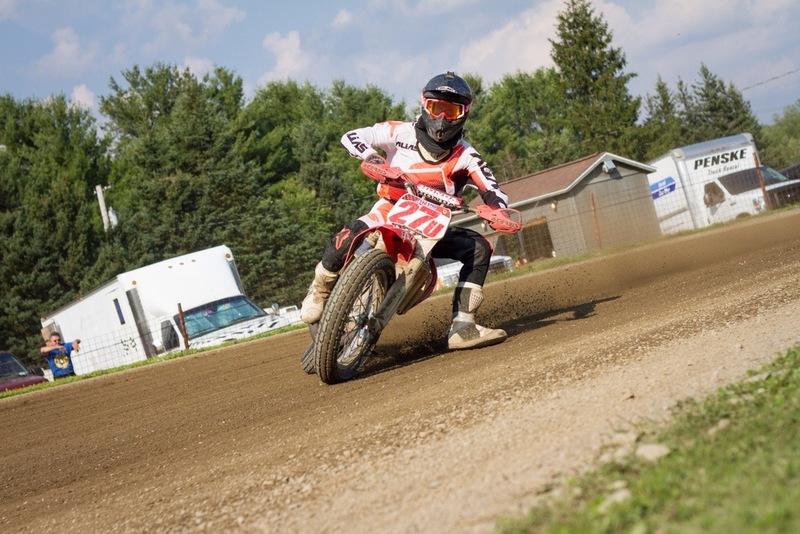 I first started doing motocross when I was 6. 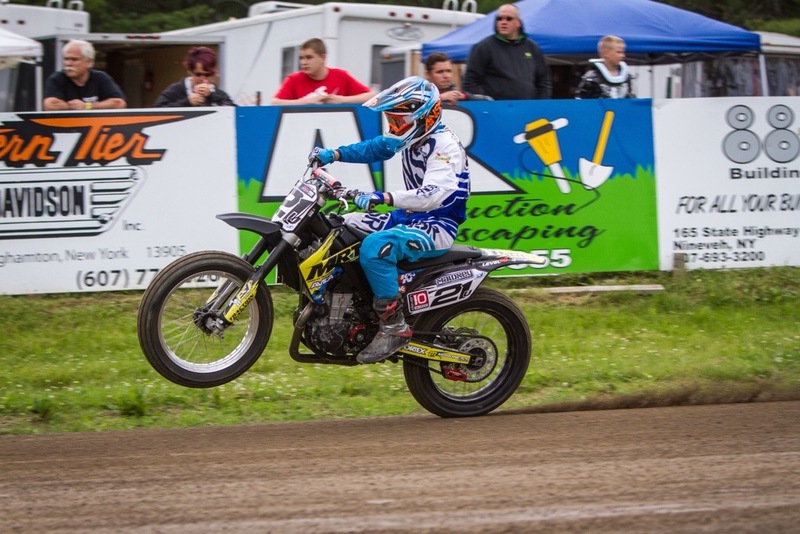 I started flat track when I was 10, and this year I did my first hare scramble before the season started and it was pretty fun. Who did you look up to in your sport? Has there been a rider that has giving you advice through out your career? Kenny Coolbeth is my favorite rider and I look up to him the most. He has helped me out a lot through the years. I took his riding school twice and he still gives me advice whenever I need it. How did you choose your number? Is there any special meaning behind 27u? My first motocross race I wanted to be #7 but another kid had it so my dad put a #2 on cause that’s how old I was when I started riding. So that why I’m #27 and the u is because I’m from New England so that’s our letter. I‘m sure that you have had one or two races slip through your hands in your young career, what one do you wish you could do over again if any and why? 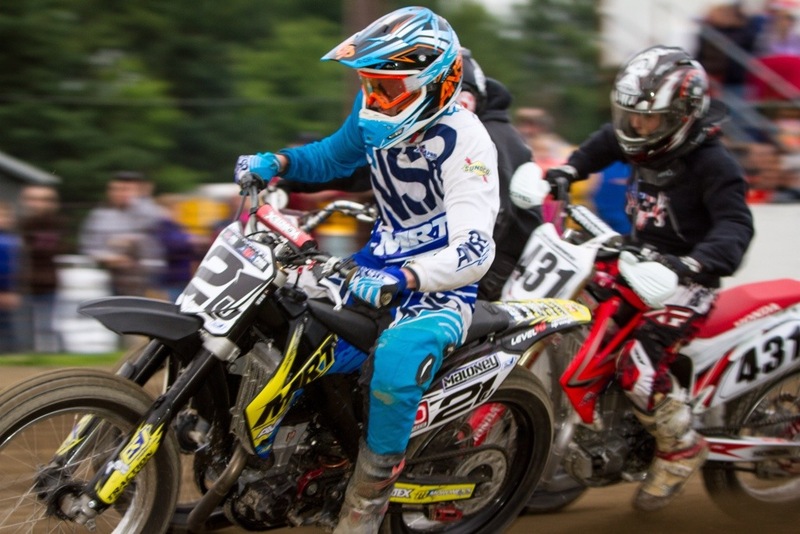 The biggest race was on my cr125 on the half mile in Illinois for amateur nationals. I finished 2nd and lost the championship by 1 point. Jamison what has been your biggest win or championship that you are most proud of? 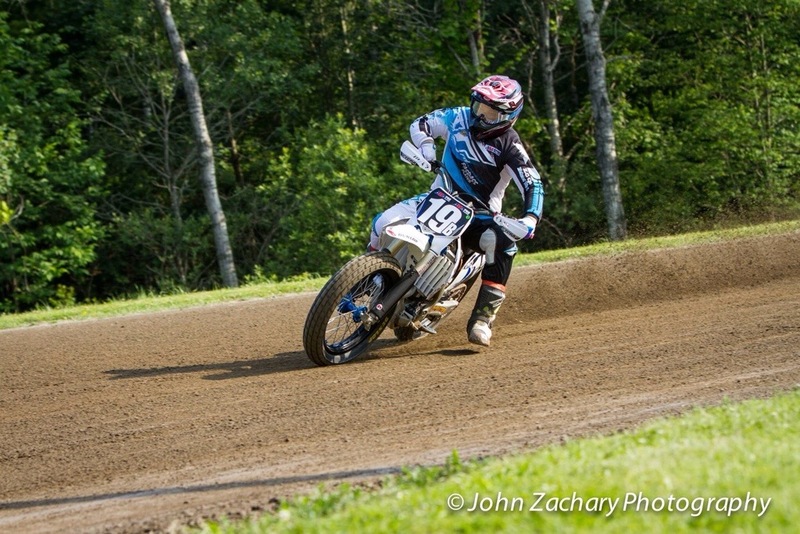 I’m most proud of the 3rd I got at Springfield this year on the twin. It was the first time I had ever rode the bike and it was my first pro podium. How many hours a week do you and your crew spend on preparing your bike for the next race? My dad and I are usually in the garage just about every night getting bikes ready for the weekend. You have had a great season so far, is there one thing, or a combination of things that have helped you with your success this year? Just my confidence is good this year. And also we made changes to my suspension and that is helping out a ton. I’ve always wanted to race Kenny Coolbeth but I’ve races with him a couple times at square deal and at wachusett valley riders. Traveling seems to take up a lot of riders time during the season, how do you cope with the long drives and still stay fresh for the event? My dad does most the driving, so I usually sleep. Is there any other sport that you enjoy participating in? I use to play hockey and lacrosse but when I went to high school I just decided to only race. What advice would you give to a young or new rider trying to make in the sport? Just have fun. It seems like everybody has a traing program do you have one? If so what does it consist of? How much riding do you do during the week and off season? During the off season I went to the gym everyday and now during the season I ride my bicycle a couple time a week. As for riding my dirt bikes in the off season I did that hare scramble and during the season I only get to ride on race day. Jamison can you explain to the fans the difference between the 450’s and the big twins. The speed and how they handle is the biggest difference. The twin is in a custom frame and it just handles a little different from the motocross style 450s. How hard is it for you as a rider to go from your 450 to the big bike, do you have to change your riding style? If so in what way? It’s actually pretty easy. When I first rode a twin it only took a couple laps and I felt comfortable on it. What are your goals for the 2014 season? Finish the year top 20 in pro singles points and just have fun. 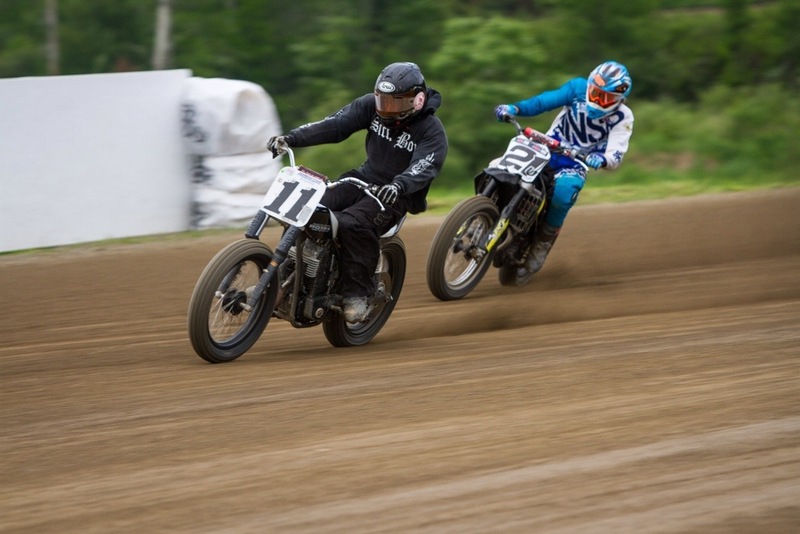 Flat track Racing? 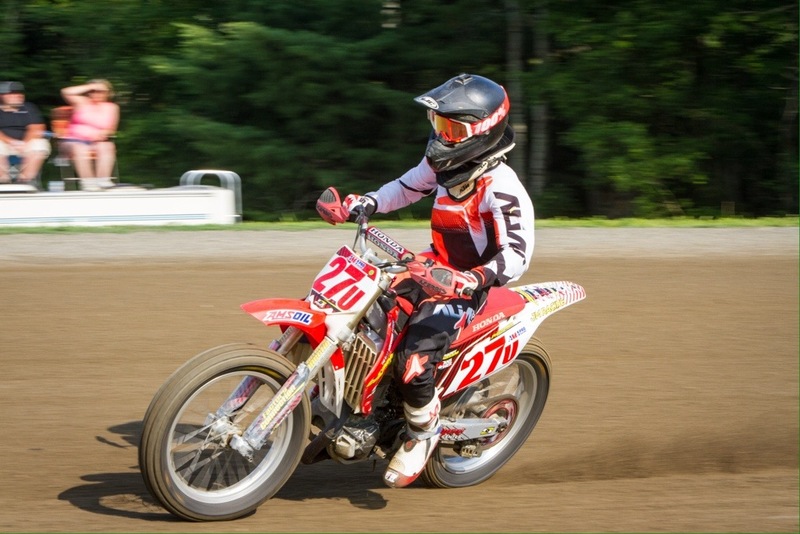 Hopefully in the GNC expert class and have a national number and be able to go to all the nationals. My mom, dad, Maggie, Keith, Roy miller, Randy and Brenda buzzard, renthal, 100% goggles, factory connection, motion pro, alias gear and the rest of my family and friends. I would like to thank for your time, and it has been a pleasure watching you ride for the last few years. Good luck to you. 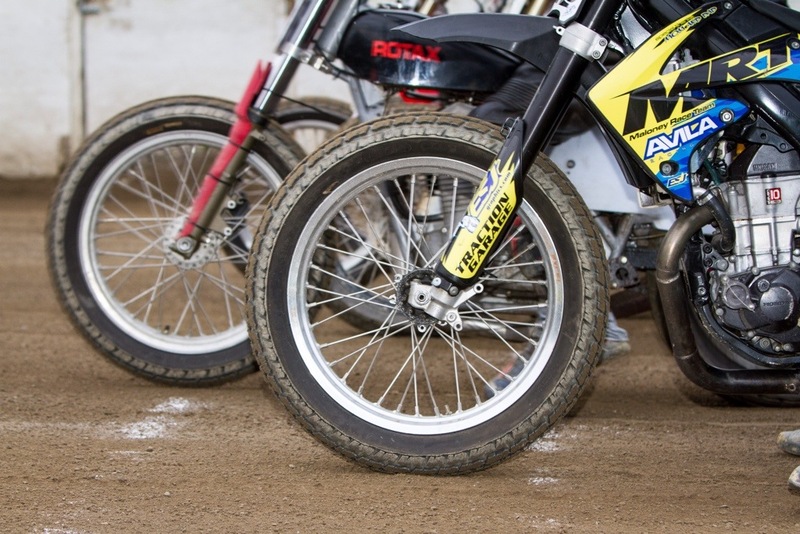 The first part of July is the time of year for the always popular Lee Thomas Cup at Square Deal Riders. This year was no exception, with a star studded field for the 19th annual Lee Thomas Cup. 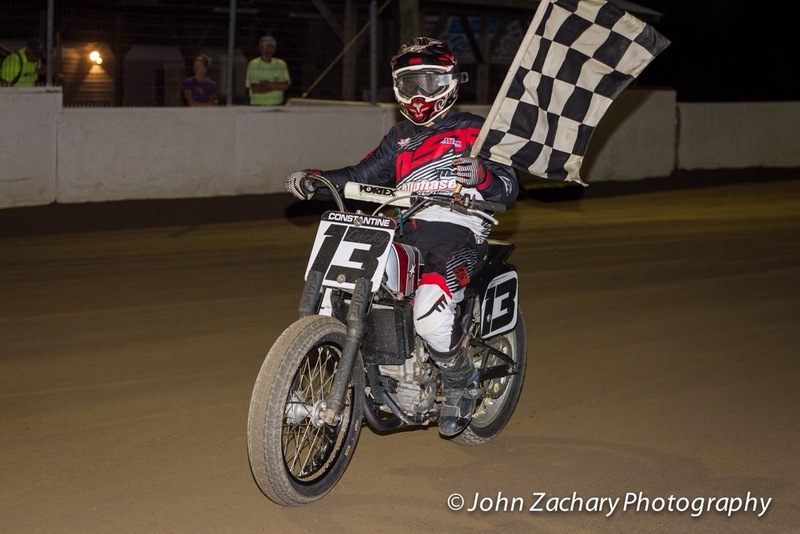 National #13 Jake Constantine, AMA rookie of the year contender Jay Maloney, Daytona podium rider Justin Jones, always fast Raun Wood, and local fast guy Craig Estelle were just part of the field that would battle on the 1/4 mile fast track for the cup. 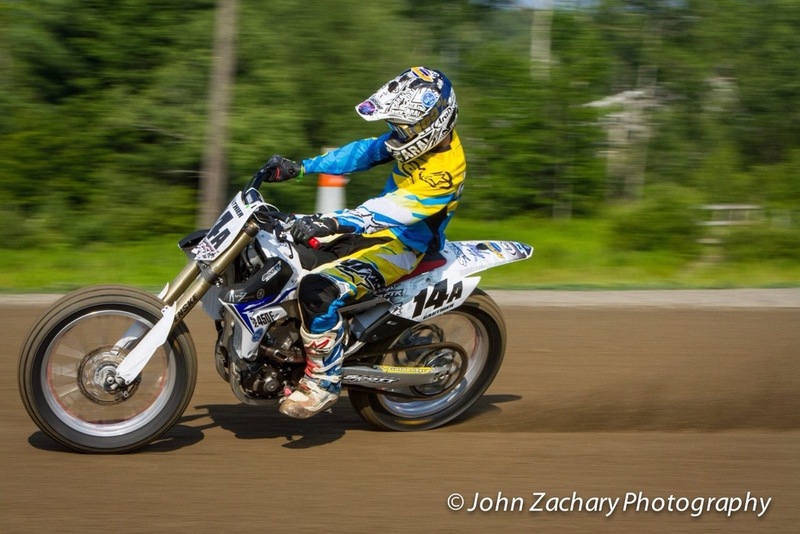 Above is a shot of 15 year old Dalton Gauthier ( a past interviewee on Under The Helmet). Gauthier had a good night at SDR winning his heat race and finishing 4th in the 25 lap main. 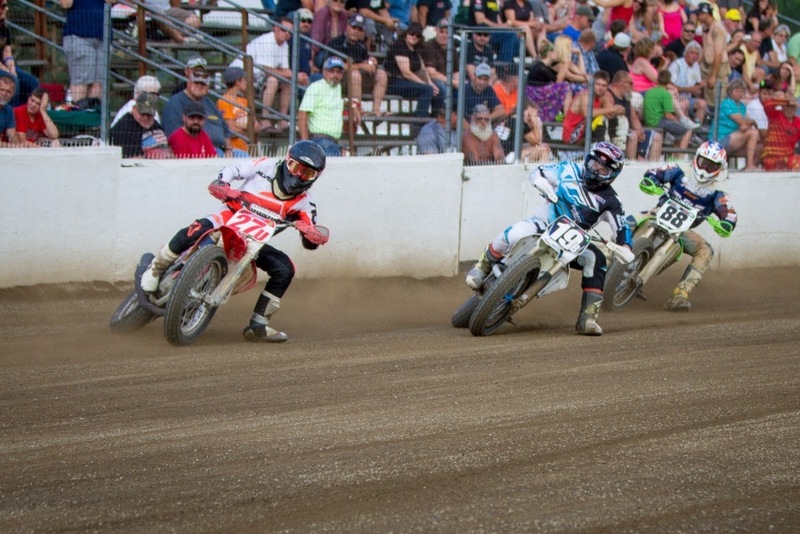 The track was in great shape for the nights event, and the stands were full of loyal flat track fans. After practice we could tell that main was going to be a battle, and it proved to be. At the drop of the green #19 Justin Jones was first to turn one, with Craig Estelle, Jake Constantine and Gauthier close behind. Estelle said after the race that he was wondering how long it would be before #13 would show his wheel to wage a challenge. Well it wasn’t long and Jake went by #51 Estelle down the back stretch for the lead. As the battle was raging up front there were a ton of wheel to wheel racing in the pack. Early leader Jones had some tire issues that moved him back to the 5th spot. It seemed like every where we looked there was two three wide for position. With the field full of potential winners it created some epic racing for the fans. Constantine held a two bike lead over Estelle and #27u Jamison Minor was on the move after starting in the second row. 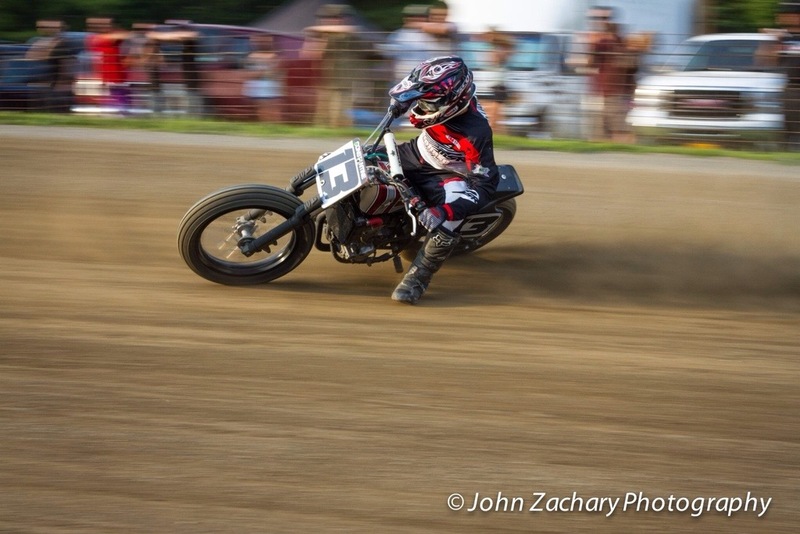 AMA winner Minor was picking off bikes lap after lap moving to the front. Jamison made his way to the third spot and set his sites on #51 Estelle. The extra laps played to Minor’s favor, giving him time catch Craig in the last few laps. With only a few laps left Constantine held a nice lead over Estelle, but Minor made his move and passed Craig on the final lap to grab the 2nd step on the podium. Estelle would finish third by a small margin. Dalton Gauthier was fourth and Justin Jones rounded out the top five. And please go to my site John Zachary Photography for all of the racing action from SDR. 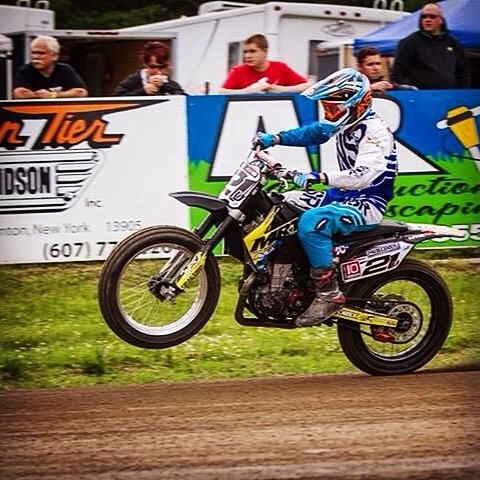 I hope you enjoy this interview with soon to be national rider Jay Maloney. 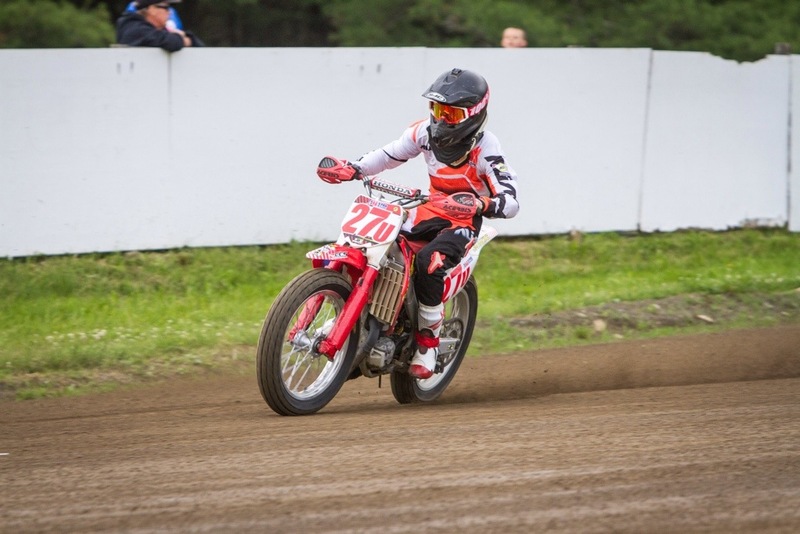 Jay is a young Hotshoe in the sport if flat track. I was four and half years old when my dad started me racing. 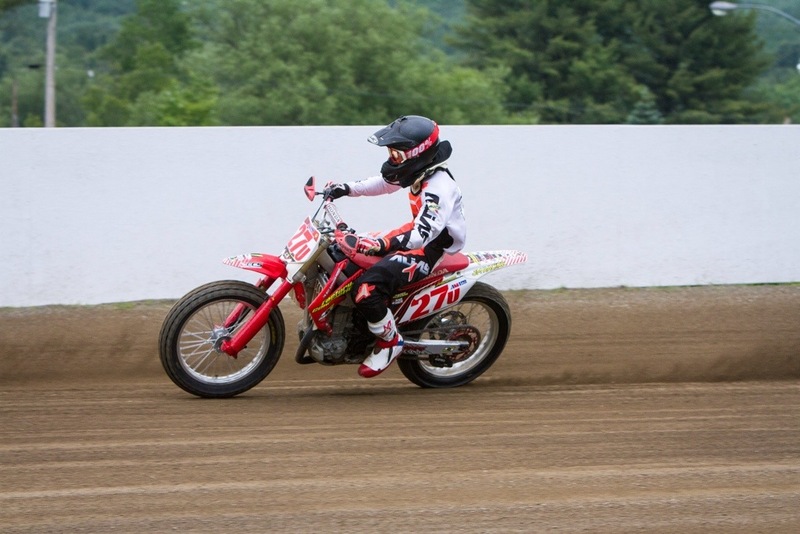 My first race was an ice race, then that summer was my first flat track race. This is a tough one. Clay tracks have always been my favorite. Hagerstown ,MD one of my favorite tracks even though we struggled a lot there this year. I could probably say that Daytona could be my favorite because I got my national number there this year, but have to say I am starting to take a liking to some cushion tracks. I look up to a lot of riders. Mert lawwill was an amazing rider because back then, you had to run flat track, road race, and tt to win the championship. Ricky Graham was also an awesome rider. Will Davis I looked up to, and got to hang out with often. I have had a lot of riders give me advice and support throughout the years and, I thank them all. Next year you get your national number. How hard was it to achieve? Also, what number will you be wearing? Yea wow, haha pretty amazing feeling. Honestly for me (getting )it wasn’t bad, I couldn’t ask for anything better. This was my first race as a GNC Expert, my first race of the year, and it was in Daytona. I Won my semi from the start to the finish, which I can say that was a very long semi haha. I Felt like it was never going to end. As far as a number for next year, I am leaning towards 12. Its opposite of 21 and I like how it looks. I have had a very long career in racing, and there has been so many that have slipped away. Everything happens for a reason. I have won many races so that makes up for it! Hagerstown this year was very tough for me as my favorite track on the National tour, and going there on a twin for the first time . I literally had maybe a hour of seat time on the bike total , and the bike was completely not ready. 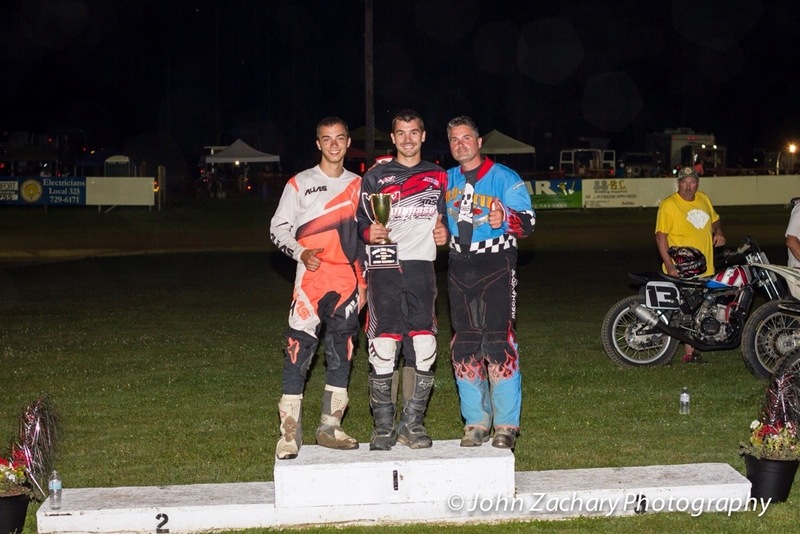 I was looking to regain saddleman rookie of the year points there also . So I would say, it would be great to do that over again and be 100 percent ready for it. In your career what has been your biggest win or championship that you are most proud of? Had a lot of big wins. Any win especially the pro/expert ones that my dad could be at, and my sponsors mean a lot to me. If it wasn’t for him I never would have got started racing. Any one of my championships means a lot to me cause it takes a lot to win a championship. I look around and see my championships here and there, and go back and think about what it took to get it. I see that it is always a lot for any of them. My biggest win had to be Daytona this year (yeah, it was only winning my semi) but winning my semi was the race that I got my national number! Let’s just say endless! haha It never stops. There’s always something. 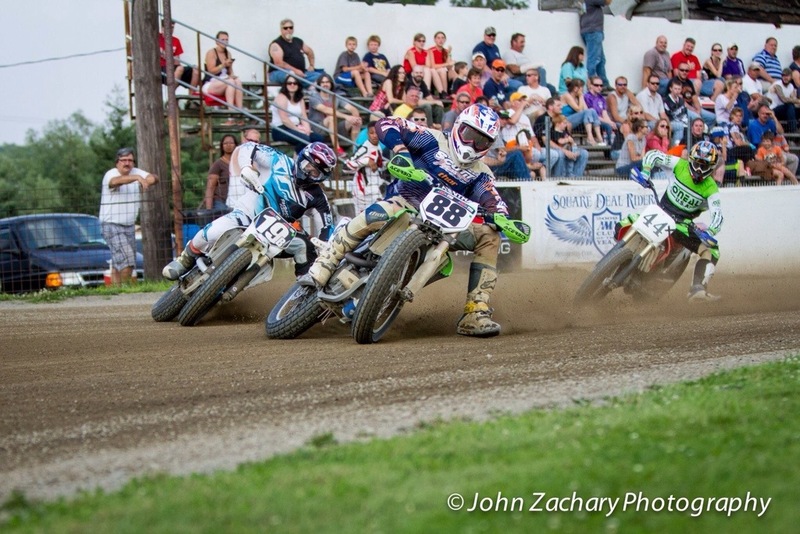 Flat track racing you are always changing things no matter what . Way more then any other industry of motorcycle racing. But normally during the week it gets a little crazy . There are lots of long nights getting ready for the next race. As far as setup changes what seems to be the one thing that you change first when your bike is off a little? 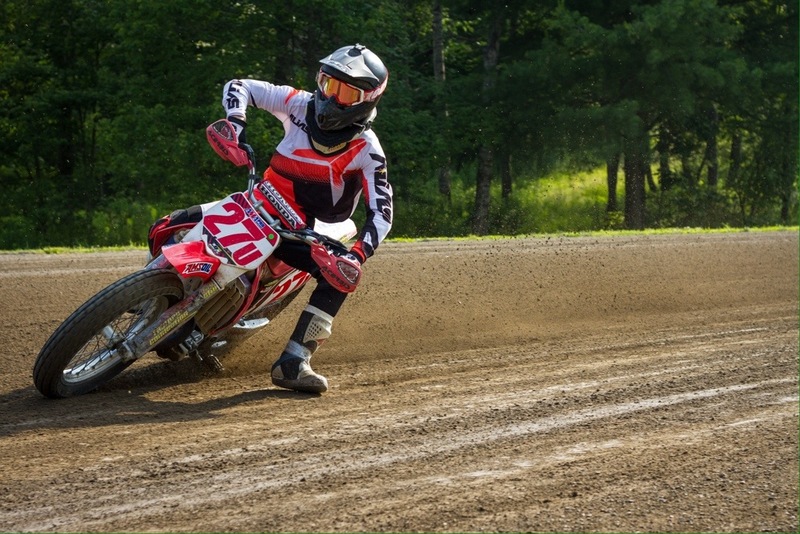 You can 100 percent be ready to change gearing and air pressure at every single track even if you have been there before. Always messing with gearing and air pressure for that extra edge. What rider do you wish you could have raced against but never had the opportunity? 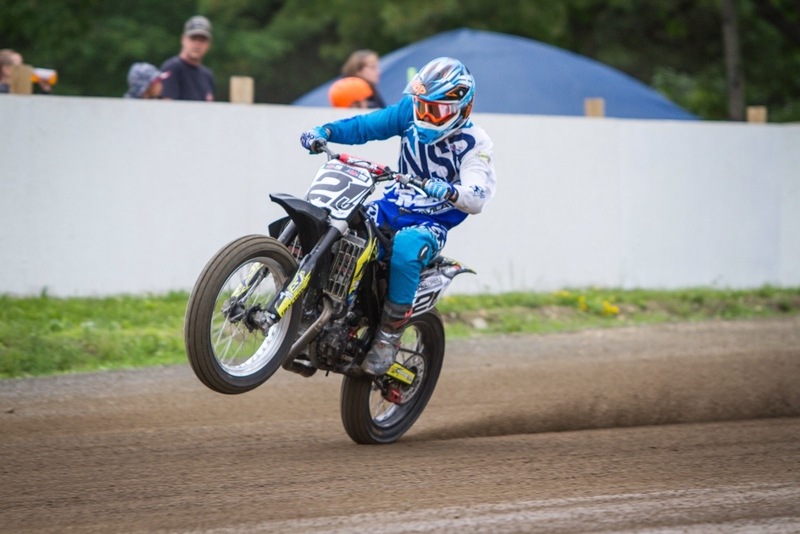 Any of the older flat trackers like Mert lawwill and that erra. Those guys were nuts. Unreal watching videos of them race. Nicky Hayden is also another one I would like to go at it with on a short track. Well traveling takes up a lot of time for sure. From working on bikes all week, long nights, and then having to drive to the event , it definitely gets tiring. Mondays are normally a little rough. But the people I travel with are pretty good. I’m normally sleeping if not driving haha. Sometimes the drives are pretty entertaining so no time for sleep haha. I would have to say nascar probably . I mean its dangerous and all but your in a car surrounded by a cage . and you can make pretty good career and living out of racing nascar. So that would work . Best advice I could give them is never give up. Not every race or race day is going to go your way. Keep your head up and never give up. Your going to have good days and bad days. No matter how great you could be your still going to have bad race days. Just put it behind you learn from it and move on to the next. Don’t get discouraged. It seems like everybody has a training program do you have one? If so what does it consist of? How much riding do you do during the week and off season? I have a hard time getting motivated going to the gym. Not exciting enough for me haha. I do some cycling on the road which is helpfull. Last year few pro supercross riders told me they got stand up jet skis for training . So I bought one and try to get out as much as possible on it. It really is great for training and its fun to ride. Well I have accomplished alot of the goals I had for 2014 already. So taking it race by race now. I want to be consistently making main events at nationals. We lost a lot of ground by not having bike done and missed a few nationals. I was leading rookie of the year points up untill after Lima. So it wasn’t a goal in the beginning of the year, I but can see it being one now , to possibly try and chase and regain that Saddleman Rookie of the year possibly win it. I just want to thank everyone that has helped me get to where I am at . I’ve had a ton of support through my career and I wouldn’t be where I am at if it wasnt for those people, MRT, Avila racing, bobby kenny, level 10, answer racing, eleven 10 mods, esj graphics, feal suspension, vortex, hammer head designs, rad mfg, kmc wheels, smx optics, traction garage, allphase, and of course mom and dad. Please subscribe to my site below.